Industry 4.0. We’ve seen that term so many times that you’d be forgiven for wondering when 5.0 is going to arrive. But amongst the hype and hysteria – not to mention the existential confusion about where it starts and ends – it’s easy to lose sight of the fact that Industry 4.0 is very much already here and it’s not so much a revolution as an evolution – it just depends how you go about implementing it. While Industry 4.0 may elicit reactions ranging from mild scepticism to muted panic. Is it too much too soon? How do we scale up our legacy systems? Will our people cope? It’s vital to bear one thing in mind: continuous improvement. Customers don’t explicitly want a straight switch to Industry 4.0, and factories constantly connected to the Internet of Things. But they do want to get the best out of manufacturing processes. They’re always pressing for better and more; incremental improvements in quality, efficiency and effectiveness. This drive for continuous improvement holds the key to making a success of Industry 4.0 and minimises the risk that inevitably accompanies such a step-change. It’s certainly something that the team at Bosch Rexroth UK lives by – and not just in the context of Industry 4.0. “We’re always thinking about how we can get better,” says Managing Director Alastair Johnstone. 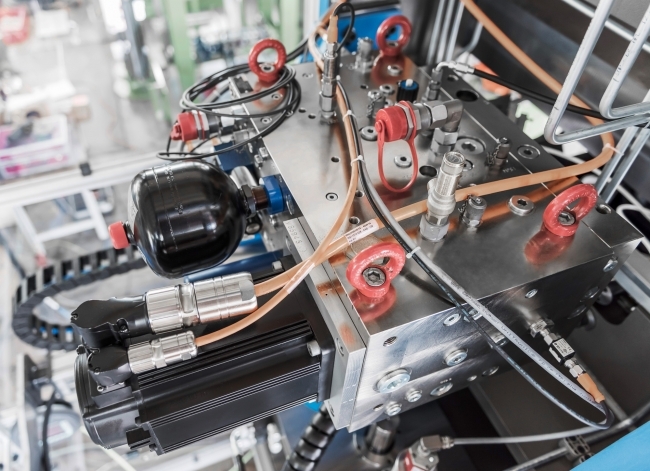 “It doesn’t just mean new tools and techniques, but also challenging the way we think and plan for the future.” As a main supplier of the drives, controls and connected components that are helping other businesses prepare and adapt to the next manufacturing paradigm, the company puts this continuous improvement at the core of what it does – and what it recommends for others integrating Industry 4.0, through a simple, three-step process. 1 – Implement sensors and controls. It’s the sensors, fitted onto specific machinery and equipment that make connected manufacturing possible. Before fitting anything, however, it’s vital to analyse requirements and objectives. Once you’re clear on those, you can start with a technology like Bosch’s XDK or CISS smart sensors –offering multiple measurement capabilities in a single unit. 2 – Enhance these sensors. Steadily, gradually test, assess, enhance. These are how sensors, once configured, can be honed to fit the demands of your business and customers. Products like the IoT Gateway Starter Kit provide a handy way to do all this, gathering and converting sensor data into easily accessible – and actionable – insights in the form of apps and dashboards. This step is all about evolutionary improvement, step by step. 3 – Roll it out at plant level. You’ve opened the gateway, you’ve optimised your process; now it’s time to take these steps out to your wider plant. Using the principles of your connected machines, widen the net within the bounds of your infrastructure and capabilities, to create a fully digitalised factory. 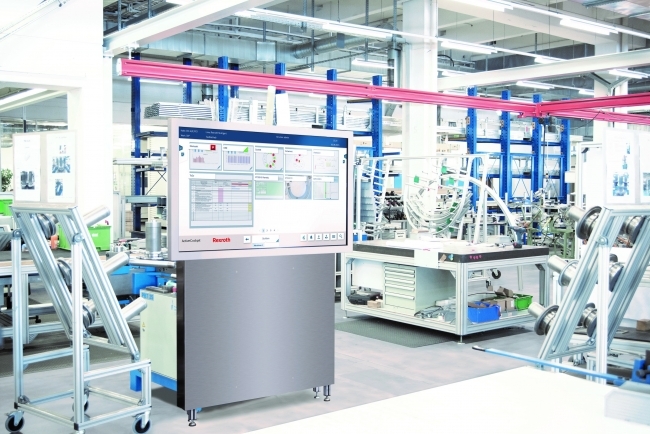 For this, Bosch Rexroth’s Software Development Kit is a crucial aid in developing and deploying the necessary software architecture, libraries and services to enable that ultimate goal: the smart factory. The Software Development Kit allows you to handle and interpret large amounts of data to give accurate, real time actionable information. It’s clear from these steps, and the principles of continuous improvement, that adopting Industry 4.0 is not so much a revolution as an evolution. Even in the natural world, evolution is effectively a test of various adaptations with one eventually becoming the norm. 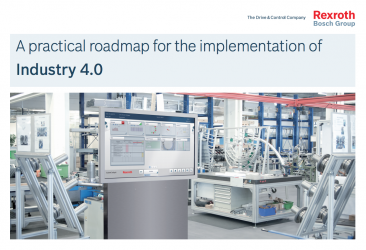 That’s something else that Bosch Rexroth has taken to heart: that if you’re going to recommend a way of adopting Industry 4.0, do it yourself first. Self-experimentation can be the best proof of concept. It’s also the other arm of Bosch Rexroth’s dual strategy for Industry 4.0: as well as pioneering the products and platforms outlined above, its team also tests them out on its own facilities, equipment and machinery. Caution is the keyword for the company here, with the gradual implementation of Industry 4.0 principles and projects taking precedence over any kind of Big Bang approach. Its Glenrothes facility, a critical part of the hydraulic supply chain for major names in construction and earthmoving equipment, needs to be connected and competitive on a global level. It’s also a test bed for smart monitoring and connectivity products but it also needs to keep producing at a pace to meet customer demand with minimal disruption to day-to-day business. For example, ActiveCockpit, a shop floor data capture and analysis tool, is being rolled out in critical areas of the machining cell and in assembly. This was, initially at least, intended to improve existing processes and make life simpler for operators, with real-time information to drive further improvements. It also helps Glenrothes staff gradually acclimatise to changing processes, practices and tools, and converts extensive amounts of data into easily understood actionable information that can streamline and simplify future implementation – laying the foundations for further integration of connected machines. This is the fundamental truth of Industry 4.0 in practice. It’s not about replacing machinery outright, or overhauling processes en masse. It’s about adapting existing assets and making little changes, learning from it, applying that learning then more tweaks and adoptions, and then more, until you look back and realise the revolution was not televised – it was all a gradual evolution. “Clearly,” Johnstone concludes, “Industry 4.0 can be as wide or as deep as you want it to be. The key point is you can’t do it all in one go. This is a journey that we are just at the start of, but one we need to embrace and quickly, as the momentum generated by Industry 4.0 will only accelerate.” As the wheels of industry keep on revolving, and connected components come online, node by node, the full force of the fourth Industrial Revolution won’t be signalled by a Big Bang, but by the reassuring whirr of our machines tirelessly moving into the future.